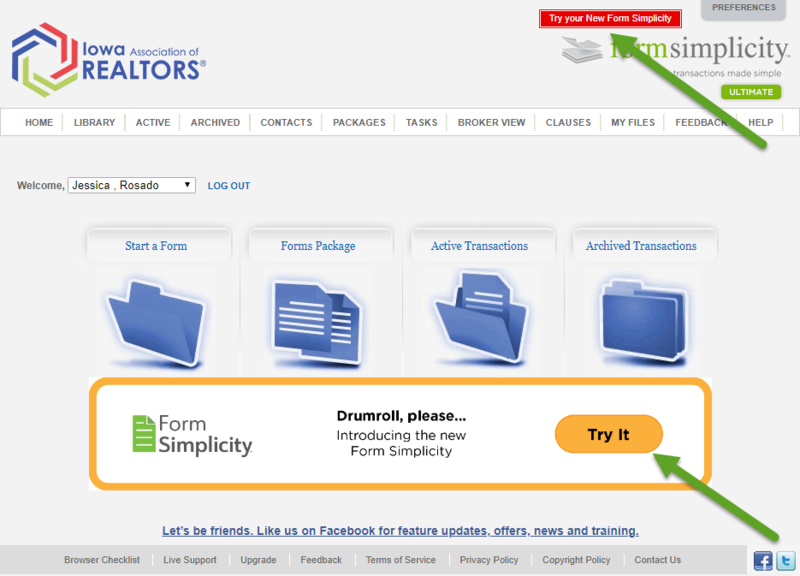 Form Simplicity launched its redesigned application for Iowa Association of REALTORS® members. The new interface layout was designed to improve the user experience. Form Simplicity continues to offer all the great features you already love. The improvements were made to the user interface, which was redesigned to be easier to navigate, to be ADA compliant and to have a Responsive Web Design for a better user experience. The new design features a Responsive Web Design, so it is easier to use on all devices: desktop, laptop, tablets, smartphones, etc. The application’s layout will automatically adjust according to the browser size of the device. The new design was carefully developed to meet the Americans with Disabilities Act (ADA) Standards for Accessible Design, meaning that Form Simplicity is accessible to people who have disabilities that affect their hearing, vision and physical capacities. The new design makes the application’s interface more user friendly and maximizes the available screen area. There are four key sections in the Home page: Menu, Recent Transactions, Upcoming Tasks and Useful Tools. The navigation menu has been grouped so that there are fewer tabs while retaining access to all the features. Your most recent transactions will be visible and accessible from the Home page. You can also create a new transaction from the home page, and the flow to creating a transaction will be smoother, with colorful buttons that are easy to identify, and an expanding page to view all information together instead of toggling through tabs. 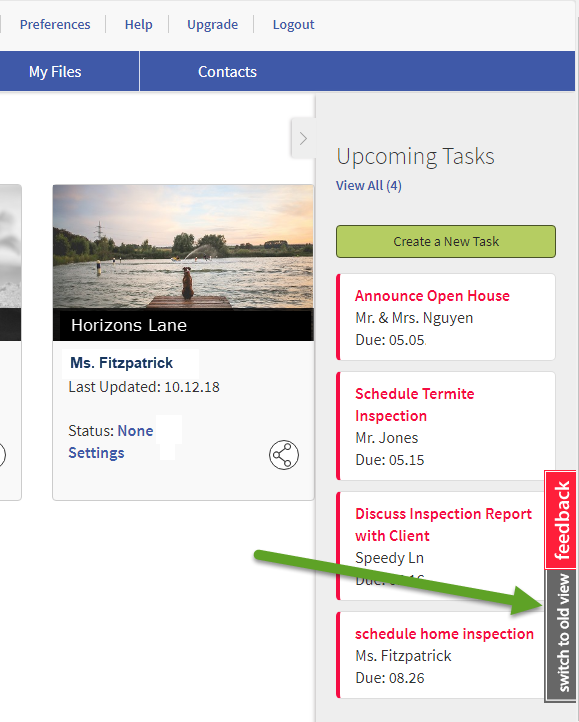 Your upcoming tasks are color coded, and available on the home page for easy access. Quickly locate the button to add a new contact, create clauses and more--right from the home page. Login as you normally do at http://iowarealtors.formsimplicity.com using your current login and password. Then, click on the orange “Try It” button under the icons or the red “Try Your New Form Simplicity” button at the top of the page. And then click on the “Continue to the New Form Simplicity” button. Once in the redesigned view, use the gray “Switch to old view” button located in the right side of Upcoming Tasks, to go back to the current view. Both sites will be available to members for a period of time, giving users the opportunity to learn how to navigate the new platform before the current platform is discontinued. And the member’s data will be available in both platforms during this time. Members have the opportunity to watch a recorded Webinar to become familiar with the new interface. Tech Helpline is also available to members who have questions about the redesigned platform Mon. to Fri. 8 am to 7 pm and Sat. 8 am to 4 pm Central Time. Form Simplicity’s Starter Edition is available to you at no additional cost and is a benefit to all Iowa Association of REALTORS® members. Upgrade to the Ultimate Edition for unlimited digital signatures (eSign), document storage, and comprehensive transaction management tools!